The AKP government and the seperatist HDP, which represents Abdullah Öcalan, the leader of the terrorist PKK, have announced their alliance on the way to dissolution of Turkey in Dolmabahçe Palace. Internal Affairs Minister Efkan Ala and Deputy Prime Minister Yalçın Akdoğan had a meeting with the HDP members in Dolmabahçe Palace. 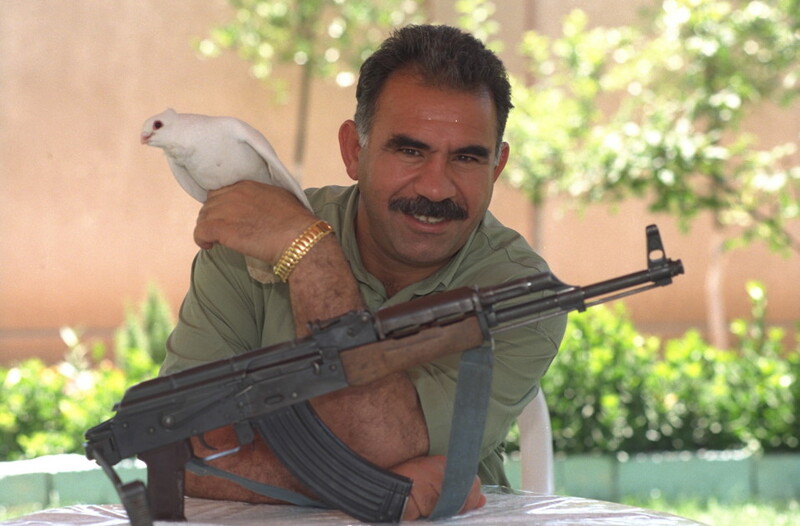 The letter sent by the Kurdish terrorist organization PKK leader Abdullah Öcalan was read in the meeting. Pro-Kurdish HDP MP Sırrı Süreyya Önder said quoting Ocalan, "I invite the PKK to attend an extraordinary congress in the spring months in order to make the strategic and historic decision to abandon the armed struggle." After the meeting, Önder told reporters that the problems with the democratization for the past 30 years had caused the lives of more than 40.000 people, which can be stopped by this resolution process of the ongoing Kurdish problem. 1. The definition and content of democratic politics. 2. Defining the national and local aspects of democratic resolution. 3. Legal and democratic guarantees of free citizens. 4. The relationship between the state/public and democratic politics. 5. The socio-economic dimensions of the resolution process. 6. Handling the democratic-security issues to protect public order and its freedom. 7. Legal solutions and guarantees of women in terms of cultural and ecological problems. 8. Improving an understanding for identity problems, definition and recognition. 9. Defining the aspects of the democratic republic, mutual homeland and nation in a pluralistic state. 10. A new constitution to internalize all of these conditions. Freedom fighters or a crime network?